Only a few of us might be aware of the fact that we actually have a day dedicated to our farmers. It’s celebrated every year on the 23rd of December. 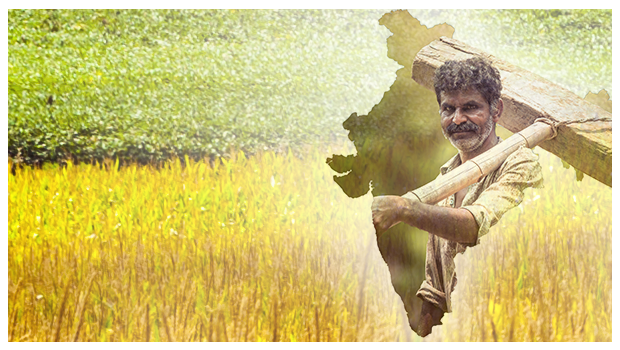 This day becomes even more relevant to us because more than 50% of the Indian population is engaged with the agricultural sector. Why was 23rd December chosen as Farmers’ Day? What exactly happens on this day? Let’s find out. The government of India had decided to mark December 23rd as the National Farmers’ day in order to mark the birth anniversary of our 5th Prime Minister (July 28, 1979 – January 14, 1980), Mr. Choudhary Charan Singh – one of the greatest leaders who worked for the betterment of farmers. Apart from being our first Kisan PM, he also served as the Chief Minister of Uttar Pradesh twice. He formulated the much famous Debt Redemption Bill in 1939. As a result of this, a lot of farmers in Uttar Pradesh could save their land from being auctioned and also be spared from the debts of unfair moneylenders. In 1952, as the Agriculture Minister of Uttar Pradesh, Charan Singh took the historic step of abolishing the Zamindari or Permanent Settlement system. The abolition brought a huge relief to thousands of poor farmers who were obliged to pay fixed revenue to zamindars or landowners, irrespective of the crop yield. In order to introduce modern and scientific knowledge to poor and small-scale farmers, he established Krishak Samaj in 1964. Apart from bringing land reform policies, he also became a voice of the farmers through his writings. Abolition of Zamindari: Two Alternatives, India’s Poverty and It’s Solution, Joint Farming X-Rayed: The Problem and its Solution, etc. are some of his books. What happens on Kisan Diwas? It is observed as a public holiday in Uttar Pradesh. While, throughout India, seminars and talks are held at various levels to come up with solutions for prominent farming issues. Government officials and agricultural officers also interact with farmers and conduct workshops to create awareness about new farming techniques and the latest financial schemes. Since Kisan Diwas is just around the corner, why not learn more about how farmers from all across India contribute to your kitchen? Just click here, http://www.24mantra.com/our-farmers/ . We at 24 Mantra Organic aim at providing you the best organic food while providing the farmers with the best market opportunities.